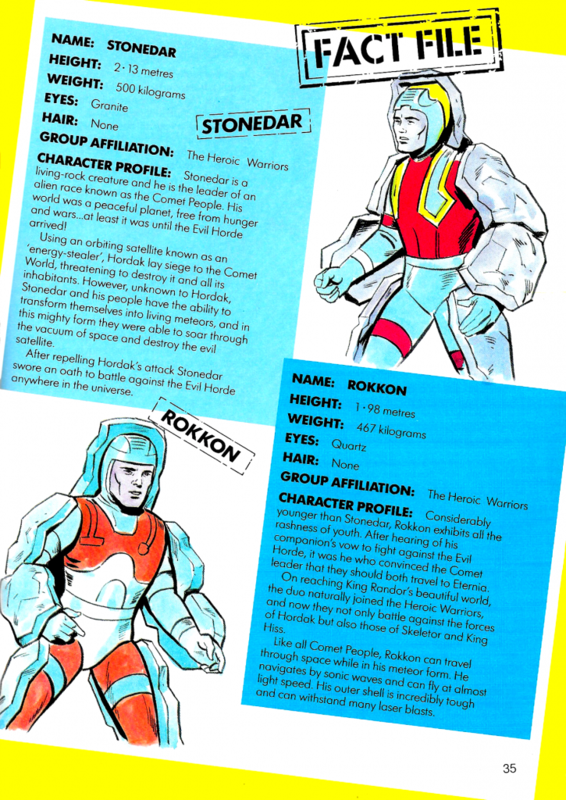 Of the two rock/comet warriors (more on that distinction later), Stonedar was my favorite, mostly because I liked the cratered surface of his outer shell, as opposed to the quartz-like surface of Rokkon’s shell. 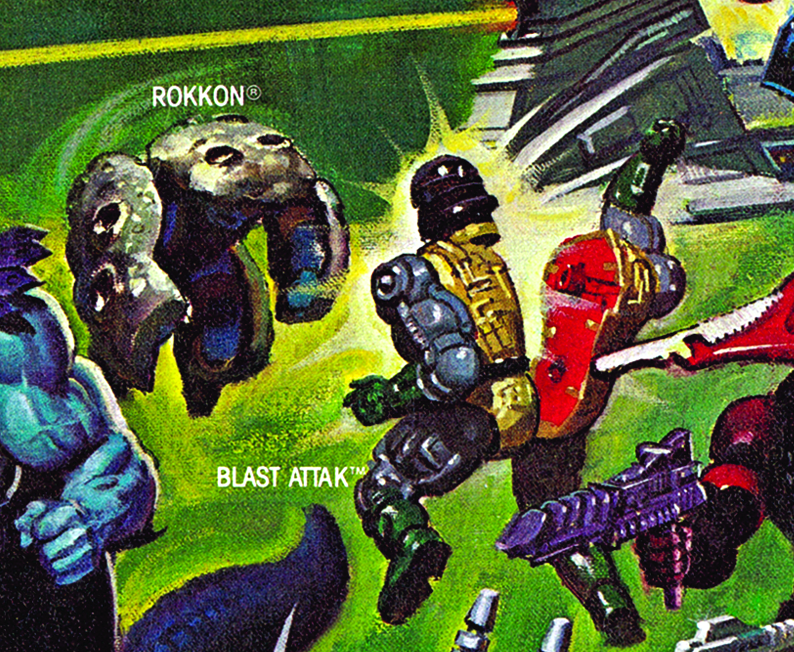 These transforming rock toys seem to get regularly panned in articles about 80s toys today (particularly the Rock Lords and Mattel’s rock warriors), but I’ve always liked them. 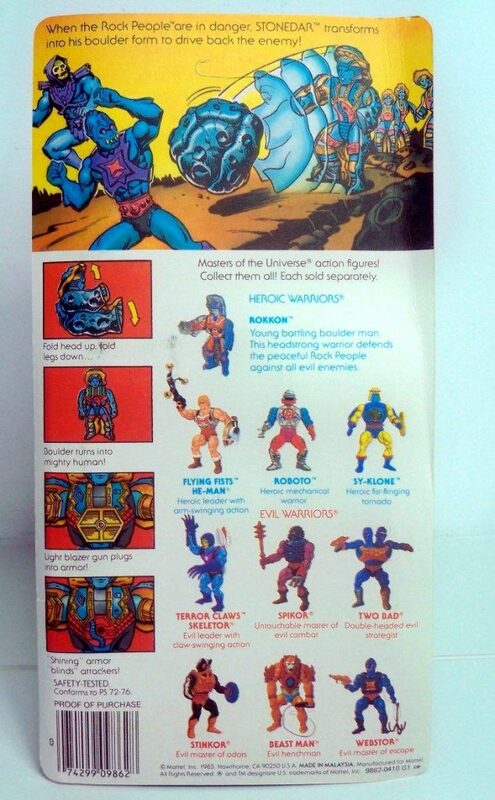 Granok was the only character I owned from the Inhumanoids line, and he was one of my favorite toys growing up. 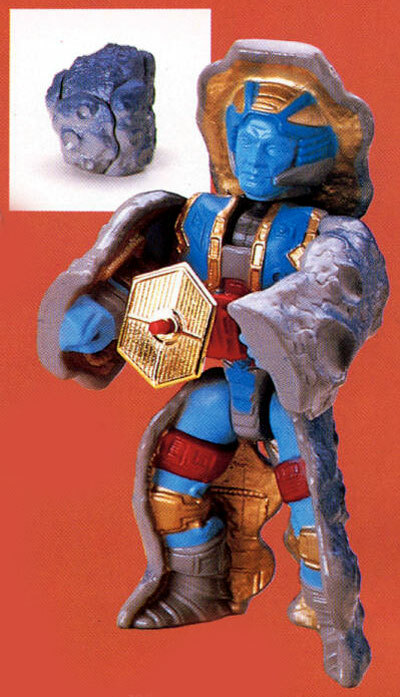 He didn’t make a very convincing pile of rocks, but he was a pretty great-looking rock warrior. 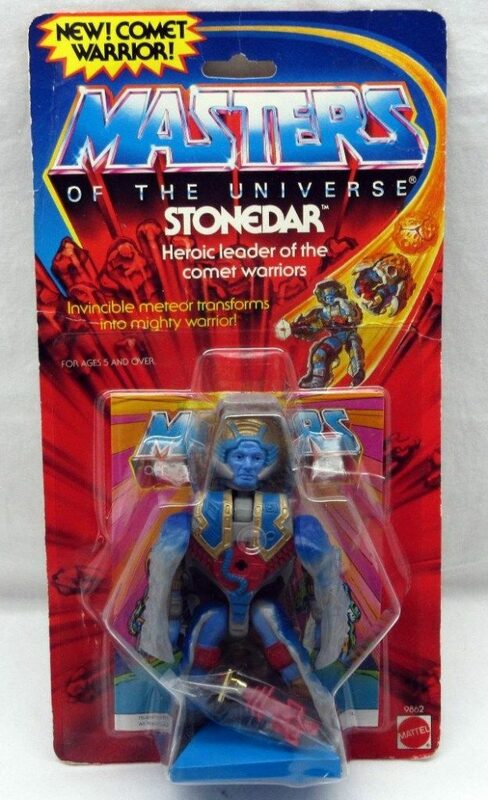 Stonedar was kind of the opposite – he made for a very convincing comet or rock, but as a warrior he looked a bit awkward. 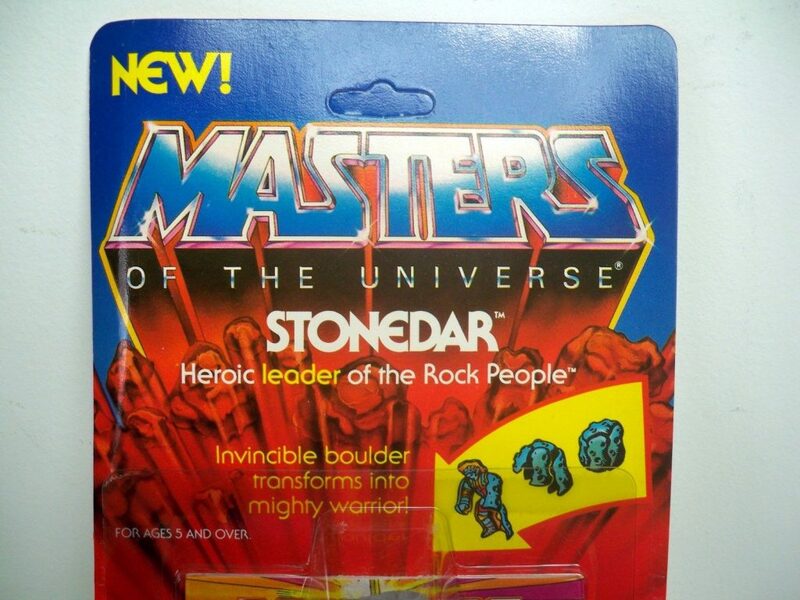 Stonedar was initially packaged on a card that proclaimed him the “Heroic leader of the rock people.” Moreover, the front of the card said, “Invincible boulder transforms into mighty warrior!” However, on subsequent versions, Stonedar was called the “Heroic leader of the comet warriors” and “Invincible meteor transforms into mighty warrior.” The change may have been made to capitalize on Halley’s Comet, which passed close to the earth in 1986 (thanks to Matthew Martin for pointing out that connection to me). 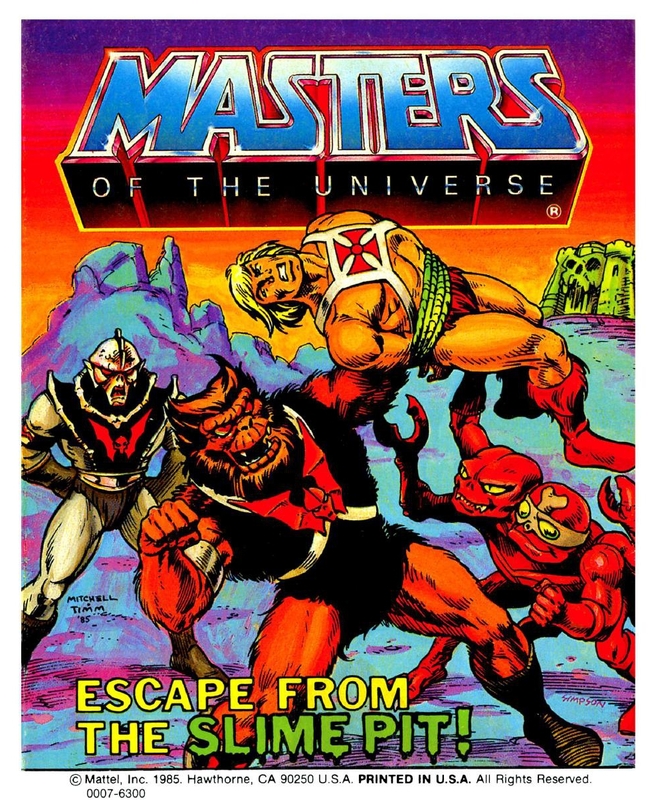 The first version features artwork by Errol McCarthy on the front, while the second version features (I believe) artwork by William George on the front. 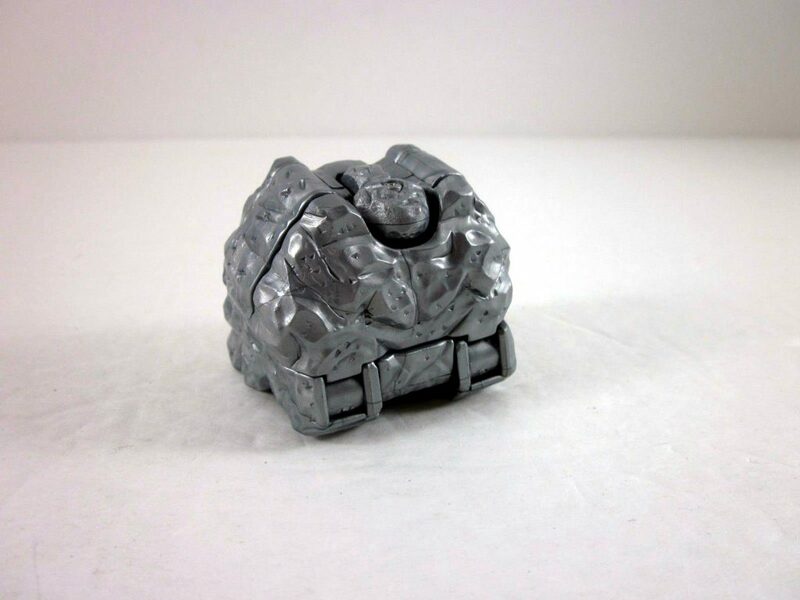 Stonedar’s transformation into a rock was achieved simply by posing him in the fetal position. 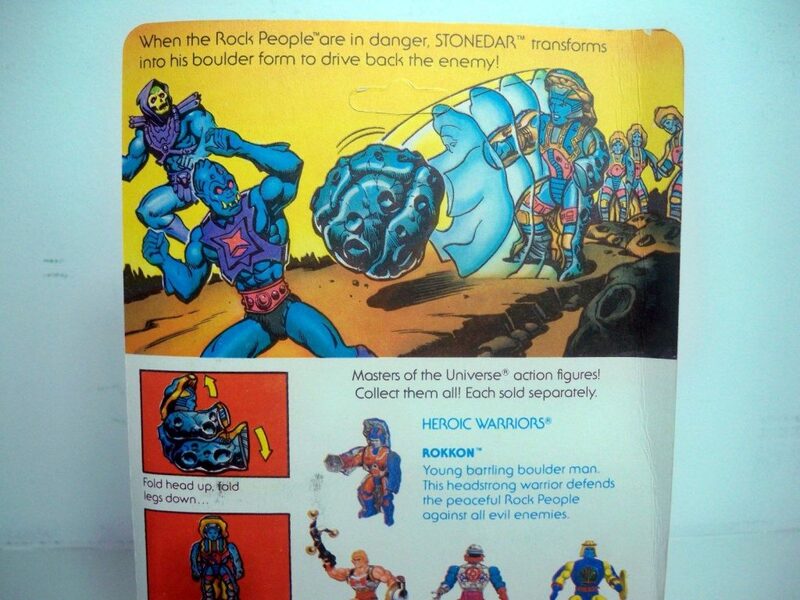 For me the play pattern with Stonedar was to leave him as a boulder until an unsuspecting evil warrior walked by. 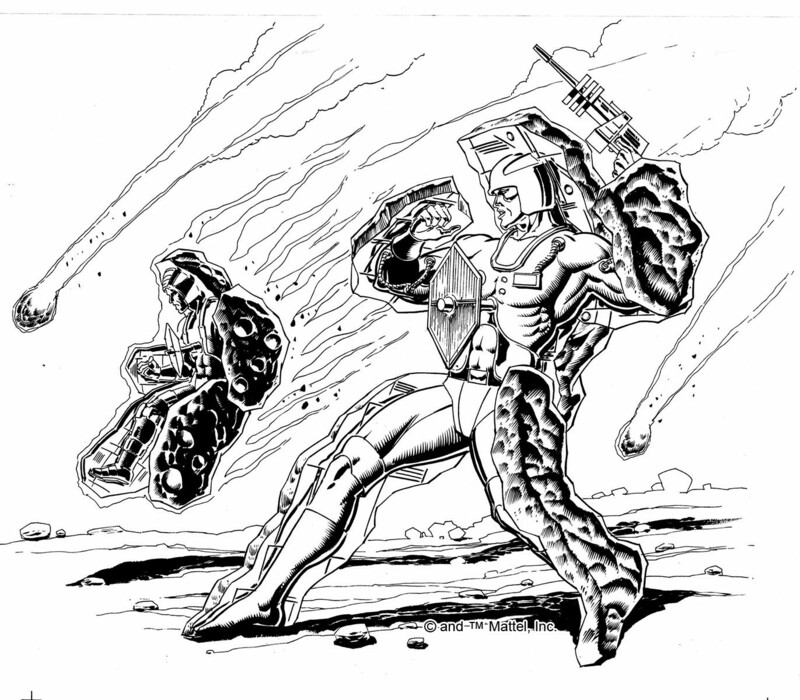 Then Stonedar would leap into action, getting the best of the bad guy using the element of surprise. One day, a spectacular meteor shower was seen in the night sky over Eternia. 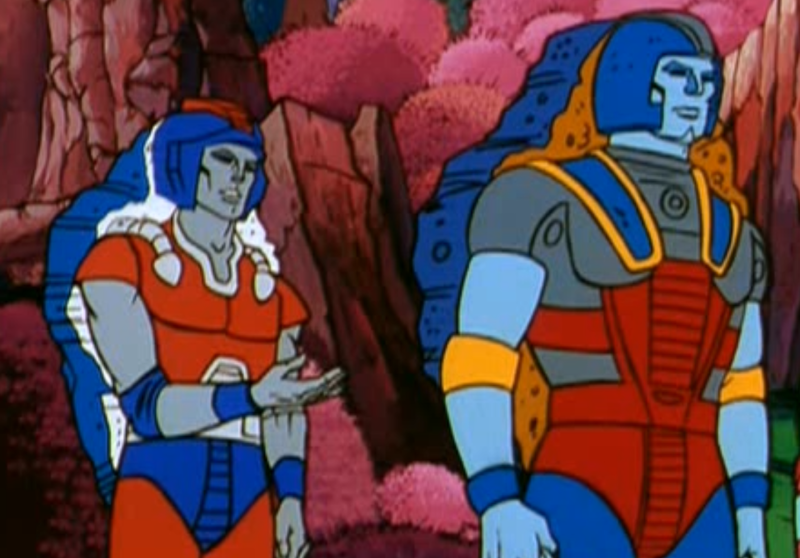 This shower was actually the arrival of the Comet Warriors. 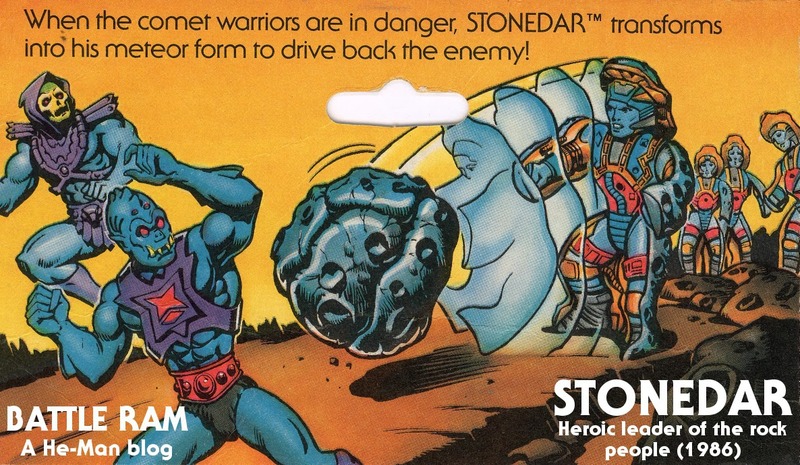 Stonedar is the leader of this peaceful clan. 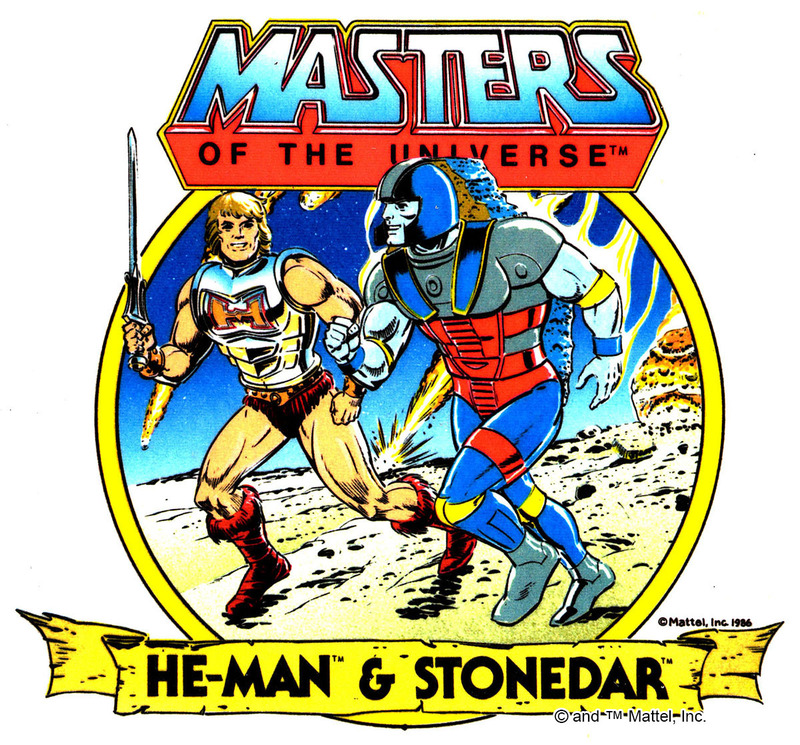 Though his race tends to shy away from conflict of any kind, Stonedar has offered to help He-Man in the great struggle against the forces of evil. 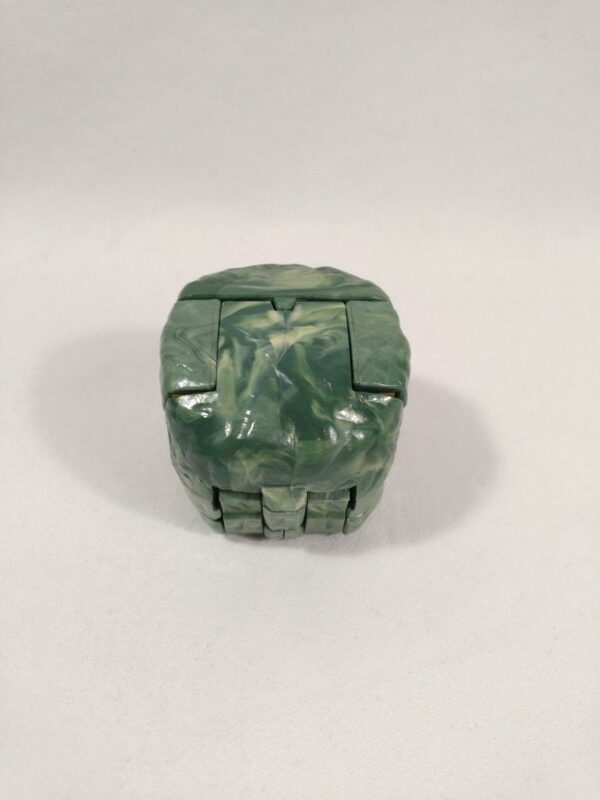 Stonedar is an exceptionally wise old man. 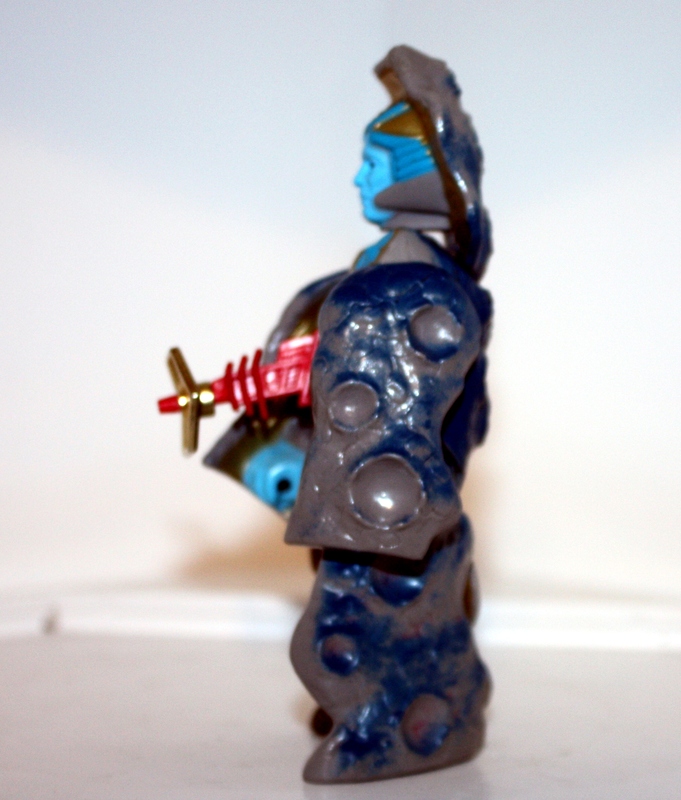 Stonedar can use his “blazing” armor to temporarily blind attackers in battle. 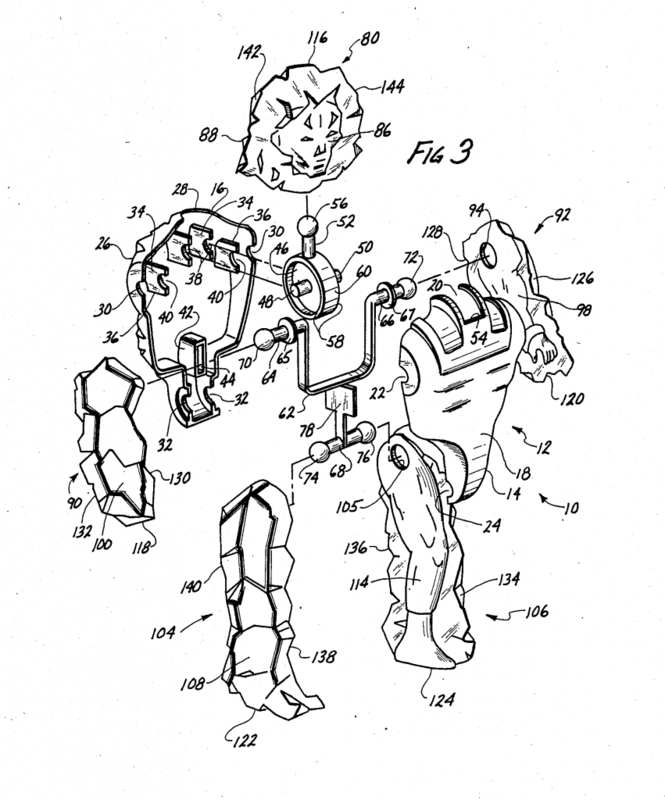 He can also use his rocky arms and legs to deflect blows. 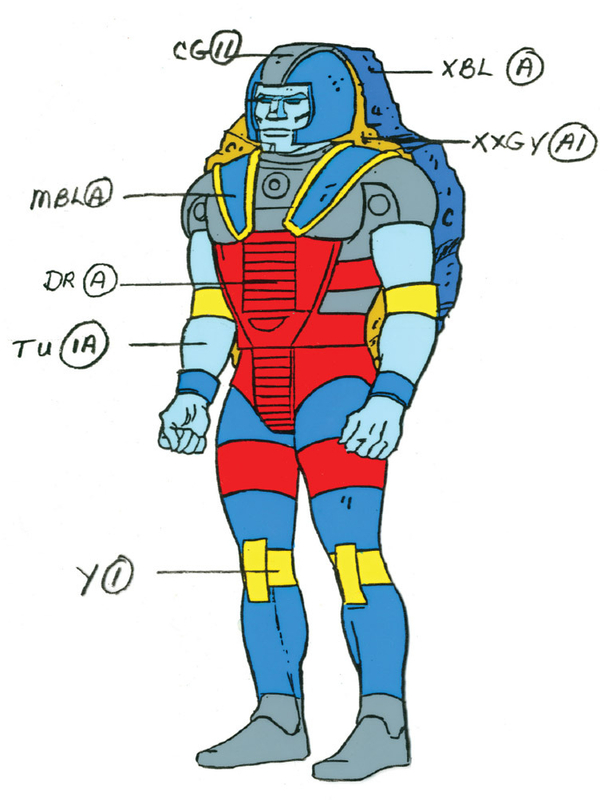 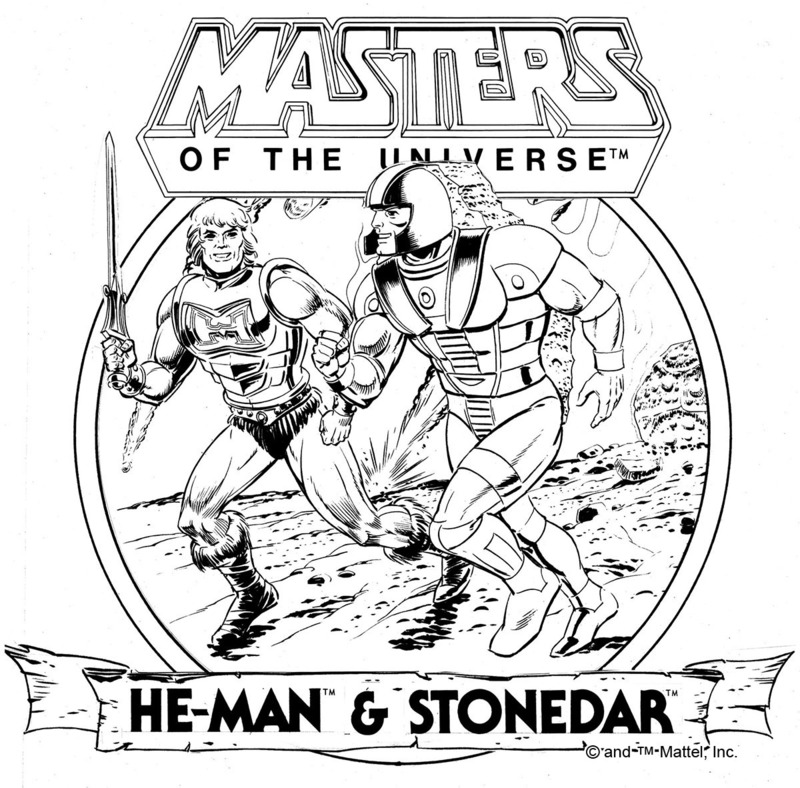 Stonedar did not appear in the original Filmation He-Man series, but he did make a couple of appearances in She-Ra. 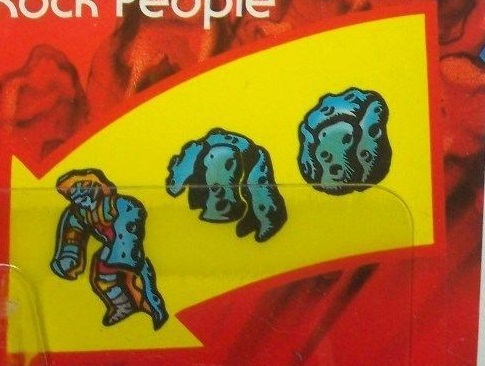 As in the Slime Pit comic and style guide, the rock people are characterized as pacifists. 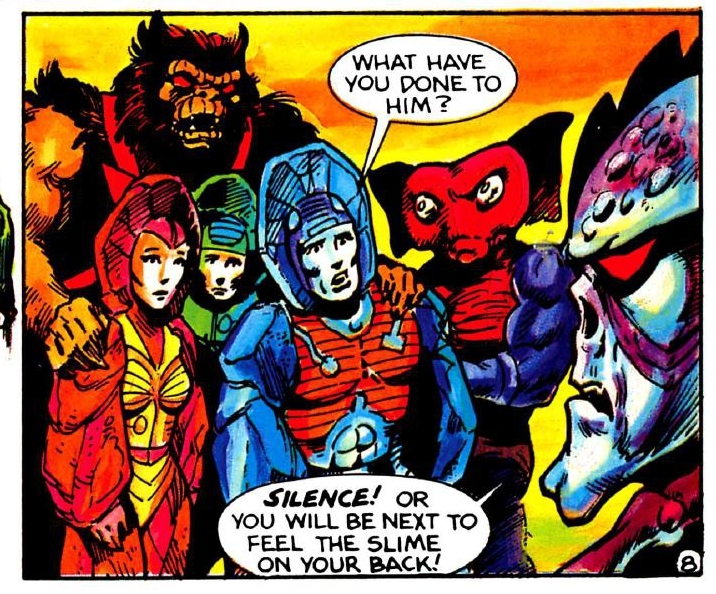 They come to Etheria because the star of their home solar system is on the verge of exploding. 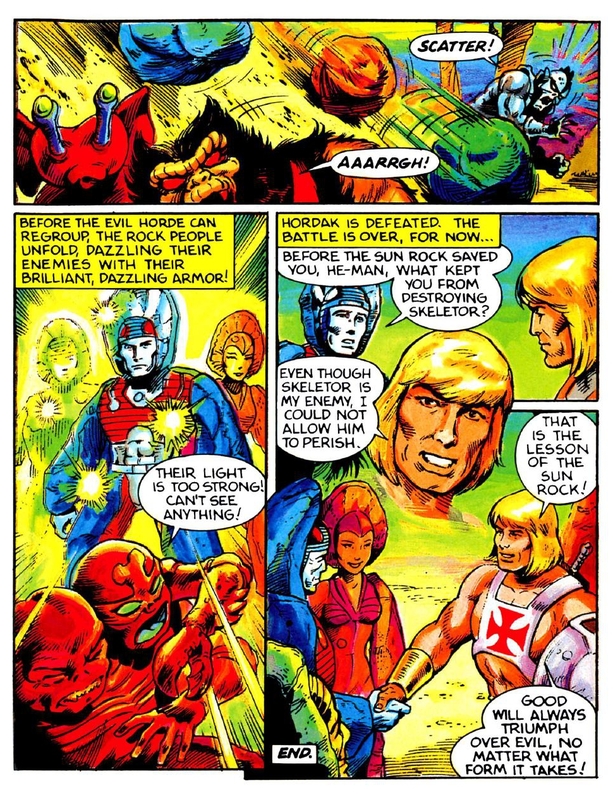 The comet warriors immediately get into trouble with the Evil Horde. 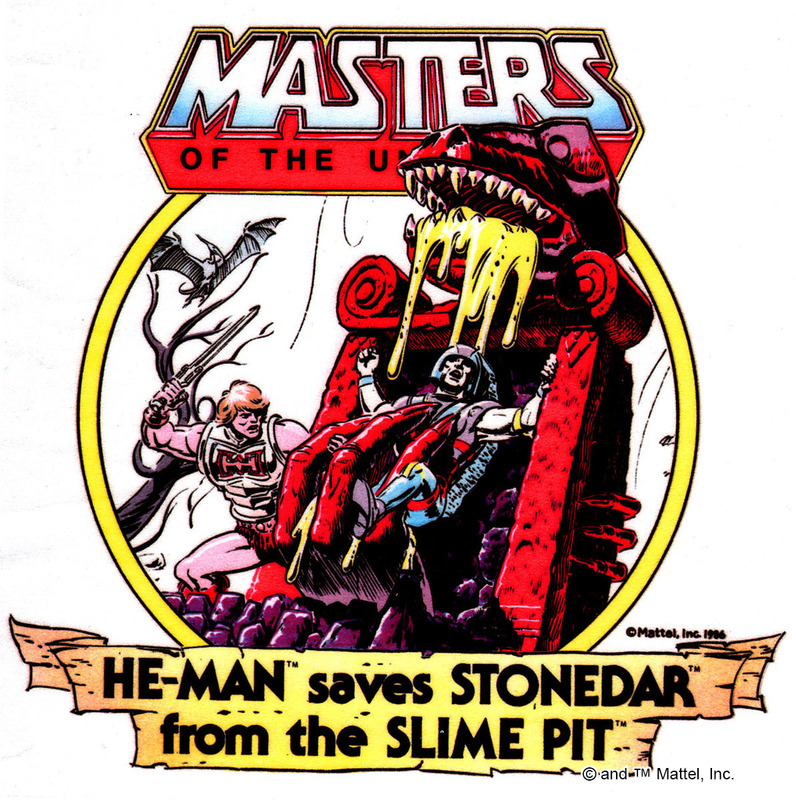 Earl Norem illustrated both Stonedar and Rokkon for a poster for the winter 1986 Masters of the Universe Magazine, and, as Matthew Martin points out in the comments, the scene is reminiscent of the illustration that Errol McCarthy did for the style guide (or perhaps, considering the dates, it’s actually vice versa). 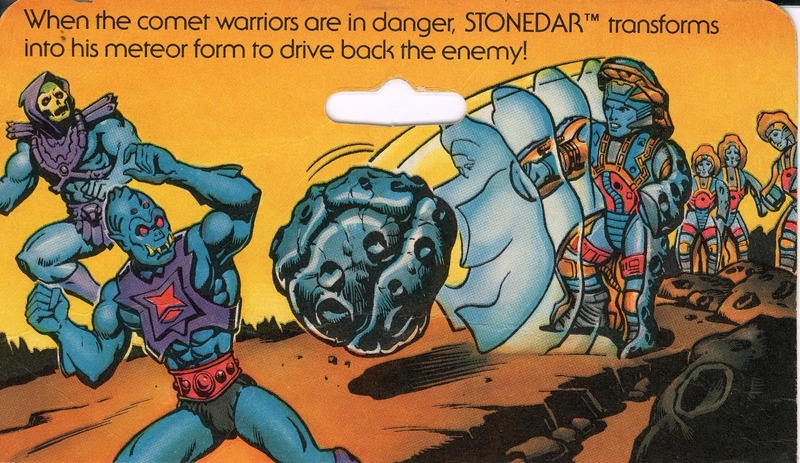 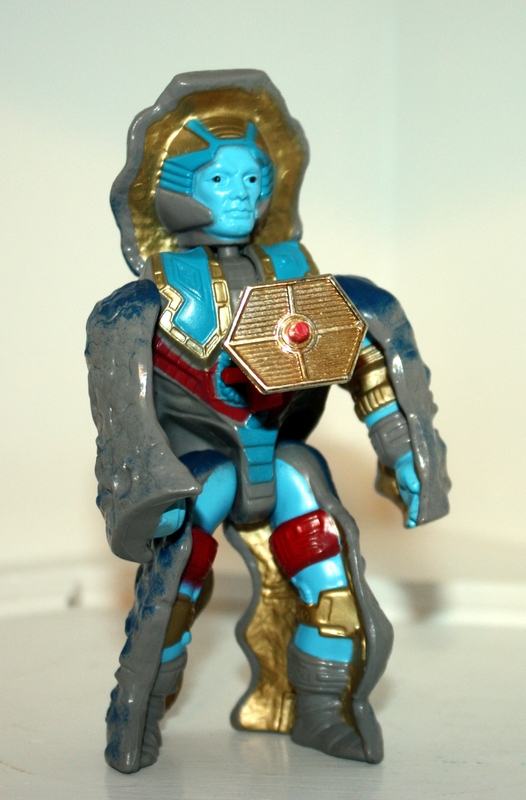 Stonedar, like many other figures released late in the He-Man line, was rather gimmicky, but he was still a a lot of fun to play with. 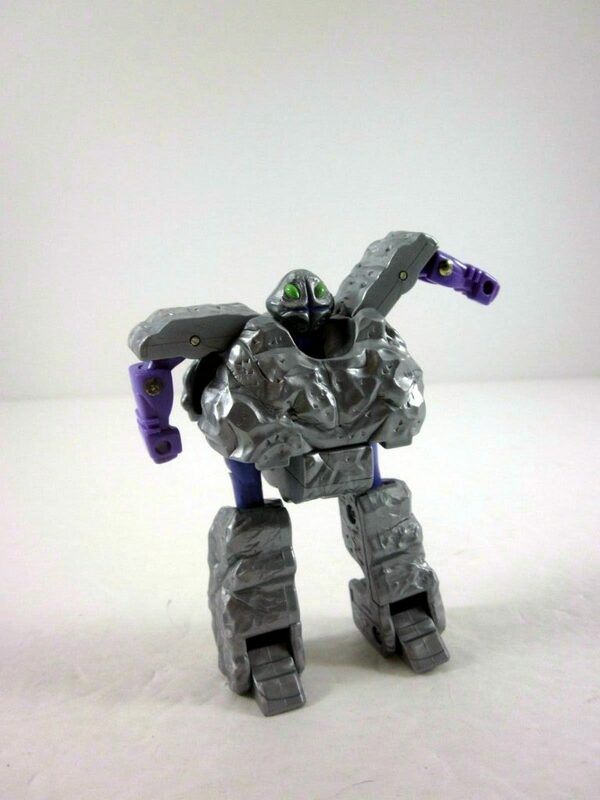 Even if you don’t like the figure itself, he also works great when in rock mode as background scenery for a diorama. 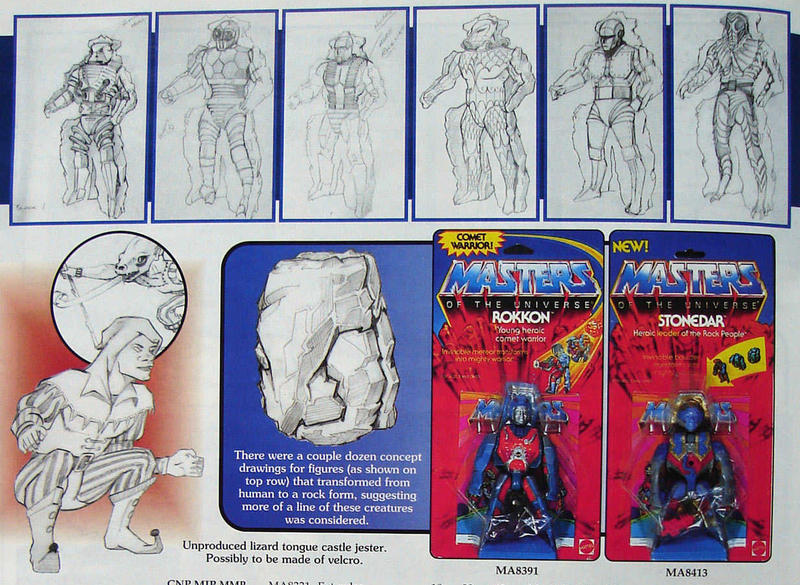 Special thanks to Larry Hubbard for providing the Stonedar figure photographed for this article. 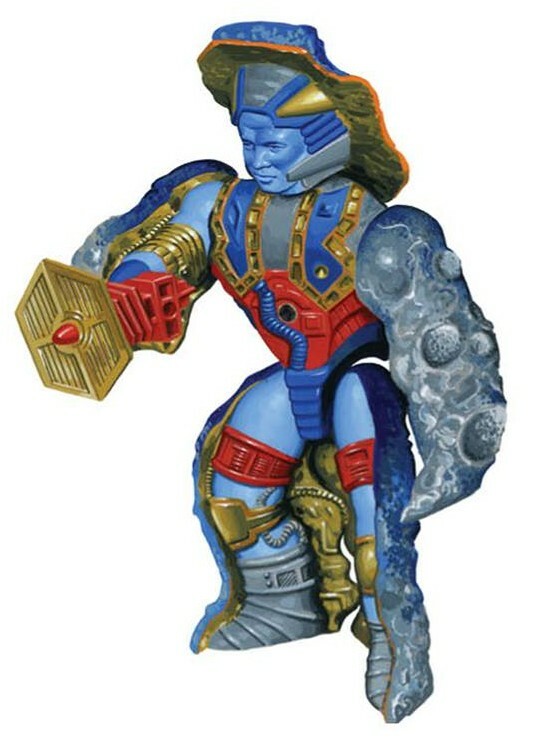 As was the case with Battle Armour He man and Skelly, I got one of the comet warriors with my little sister getting the other. 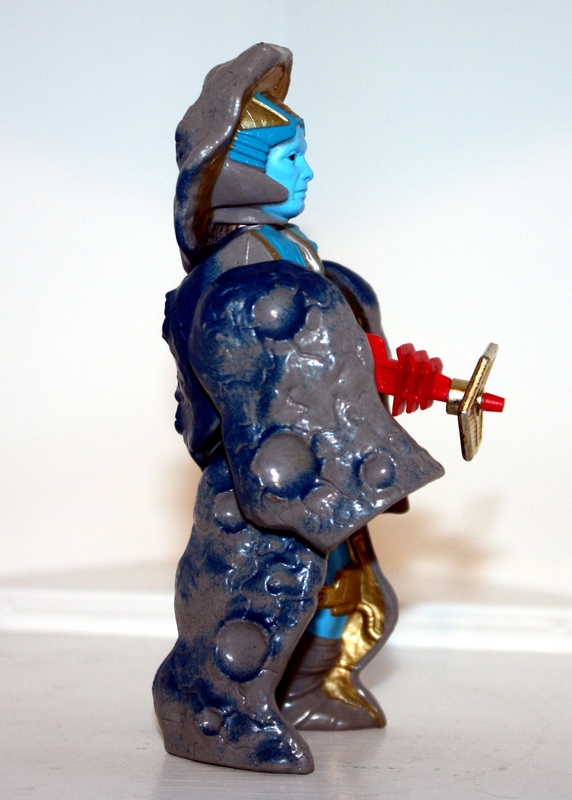 This situation worked well for me as after a few weeks I would inherit her figures and keep them. 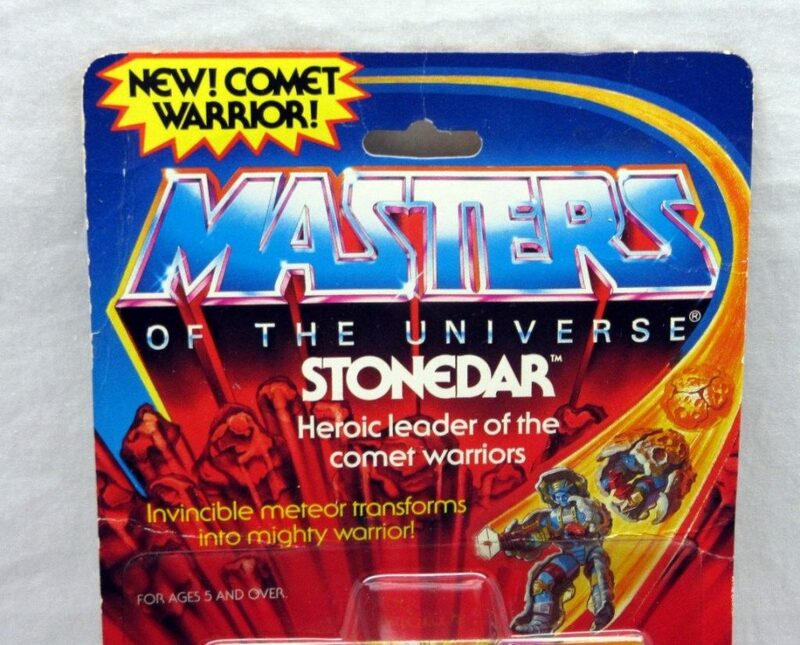 looking back I can recall not being overly impressed by the Comet warriors on account of the basic way they folded up and left a hole on the bottom. 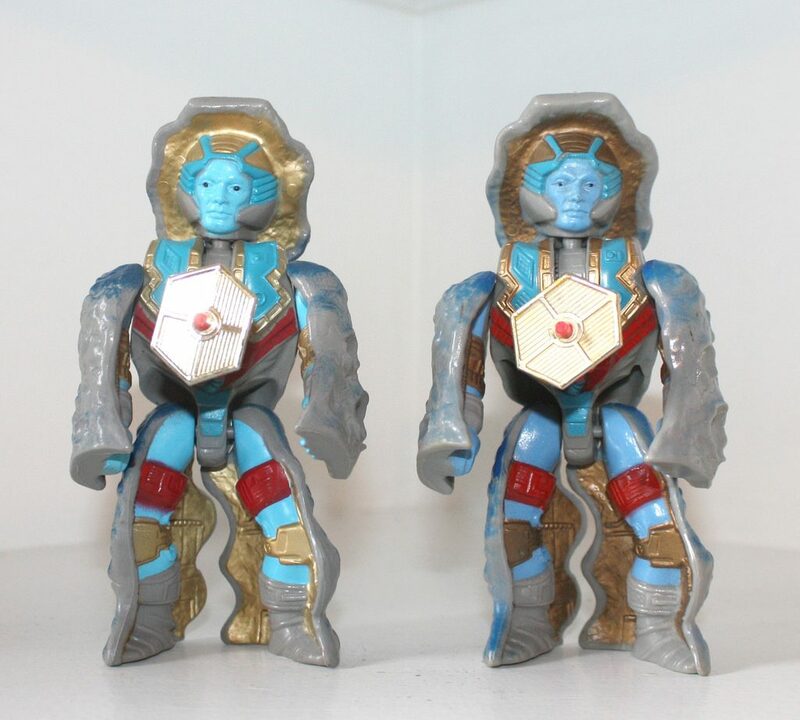 Compared to the Transformers toys, these guys were a big too simplistic. 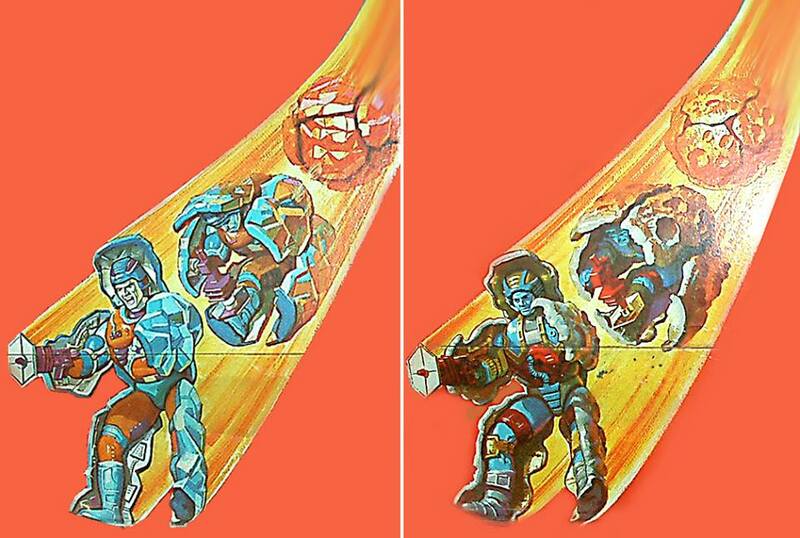 Great article!! 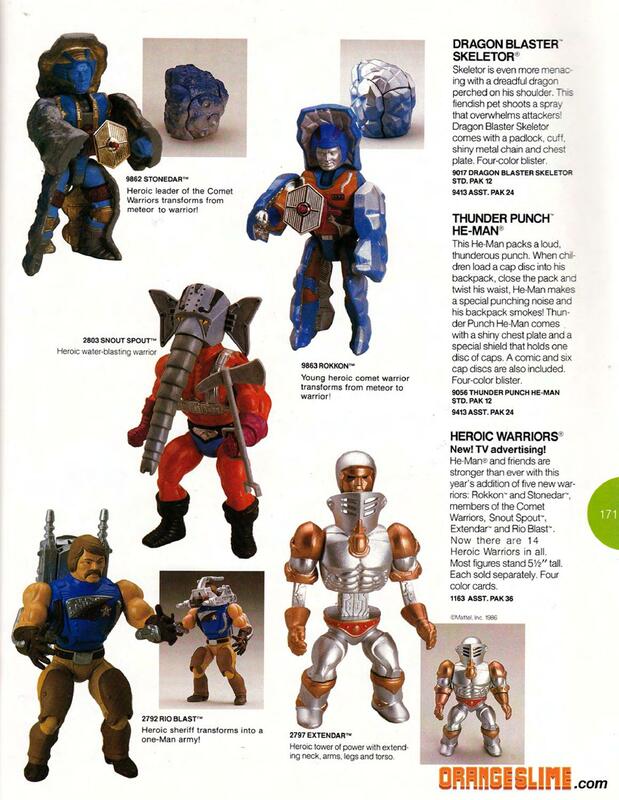 I remembering seeing these in the store but never had one. 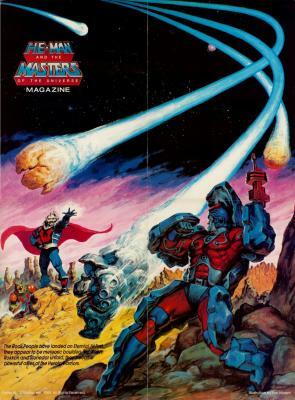 Thanks for the article and the nod therein–Halley’s Comet was a Big Deal in the winter of 1985/86, as I recall, and I’m surprised no one else made the connection. 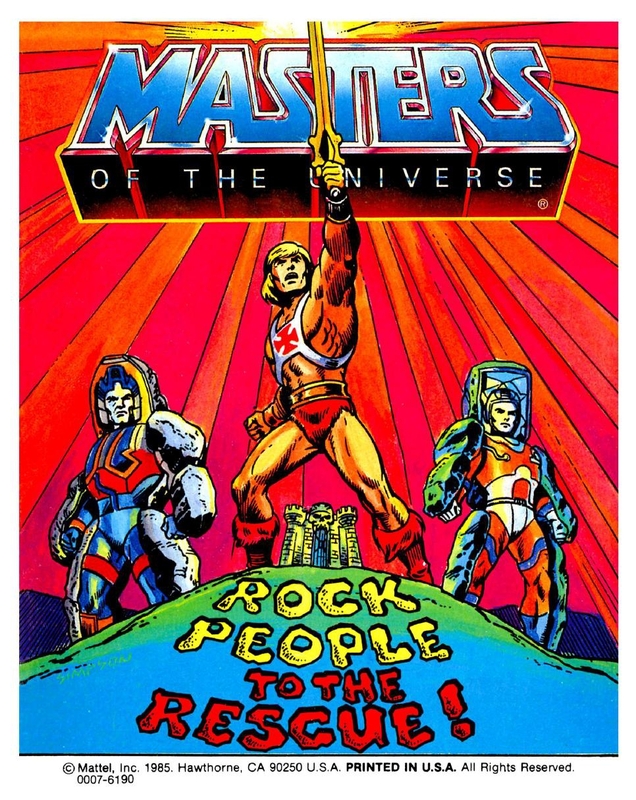 Great observations – and that reminds me, I forgot to include that poster in the article, despite having it ready in my folder! 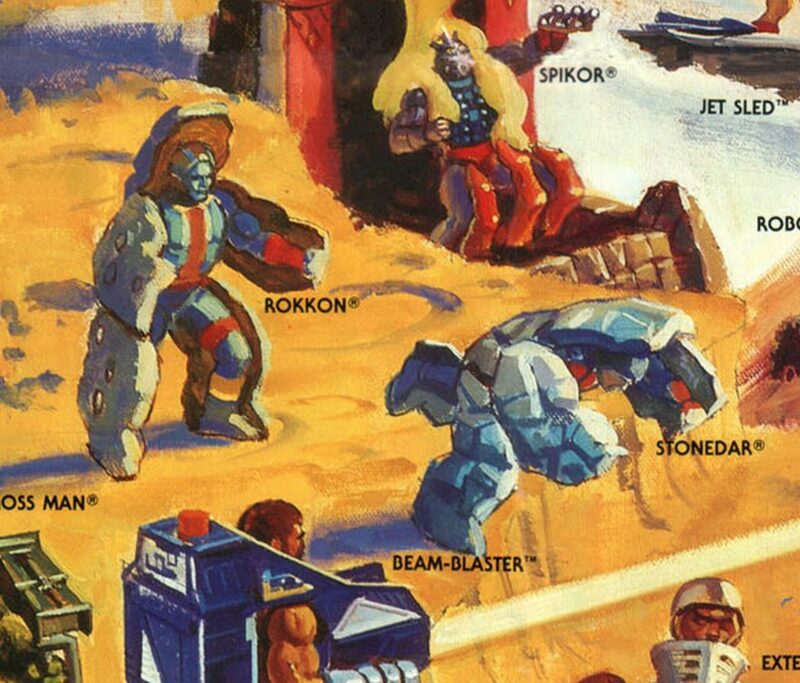 Interesting that in the poster and more so the style guide, the gun is in two pieces. 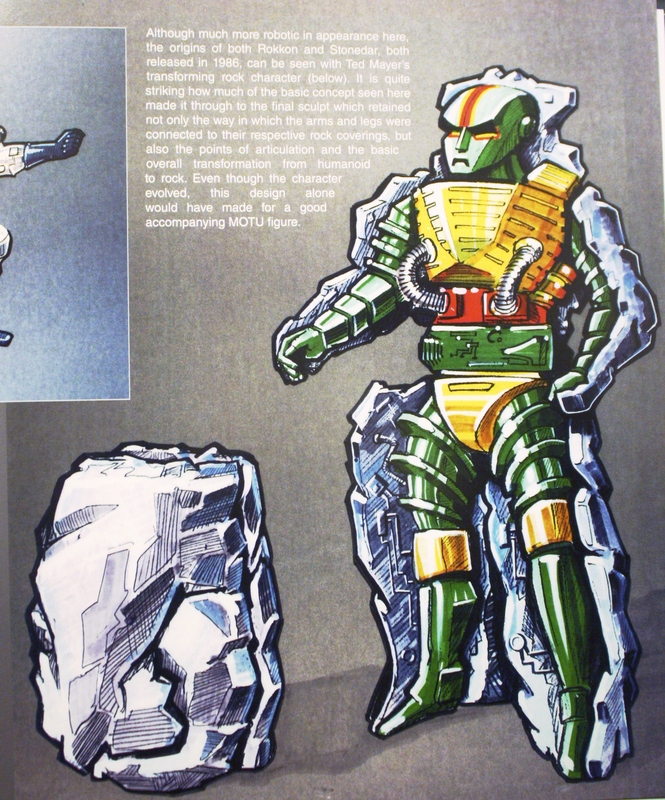 Both pieces show the main gun in there hand, but the Style guide shows just the reflector part clipped into the chest, more then the whole thing. 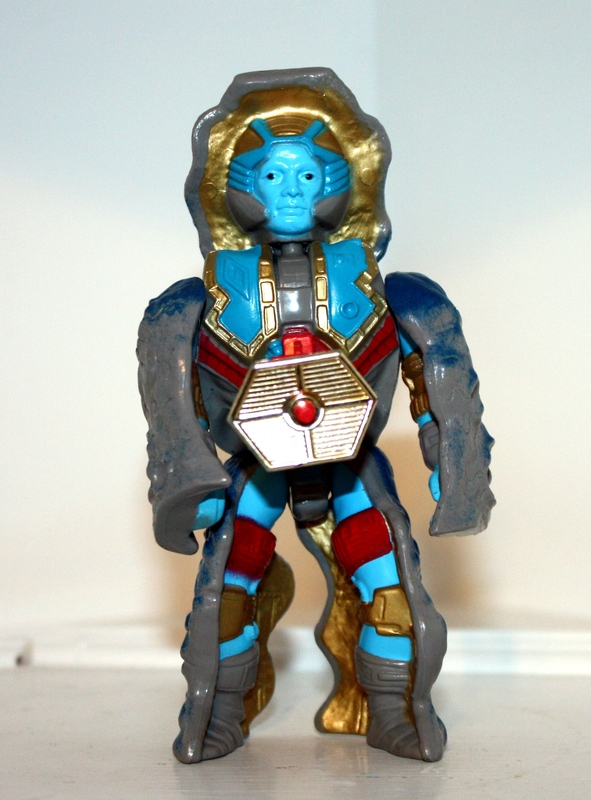 I’ll comment pretty much the same as some others, for me the Transformation seams a bit bland and while the articulation isn’t too different from the rest of the range, it seams far too limiting. 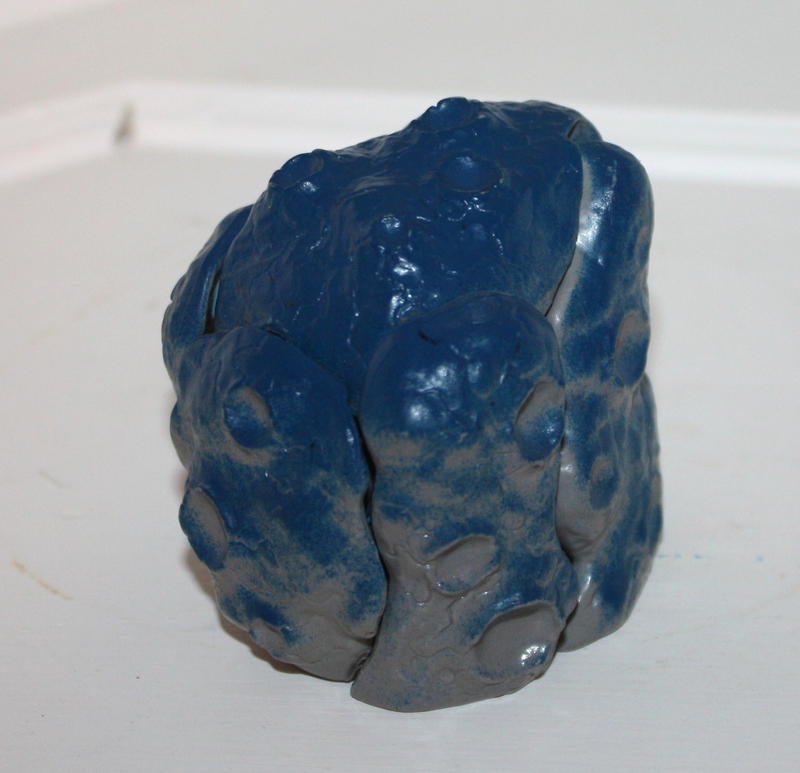 I also think the choice of blue while fitting in fairly okay, didn’t work.. the ‘rock shells’ really needed to be more… realistic rock colour to help play patterns.. 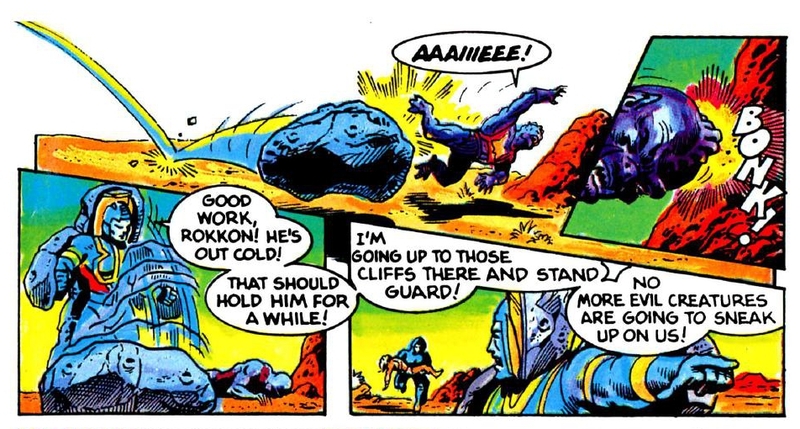 I mean “Hey, lets rest by this giant blue rock, Oh wait! 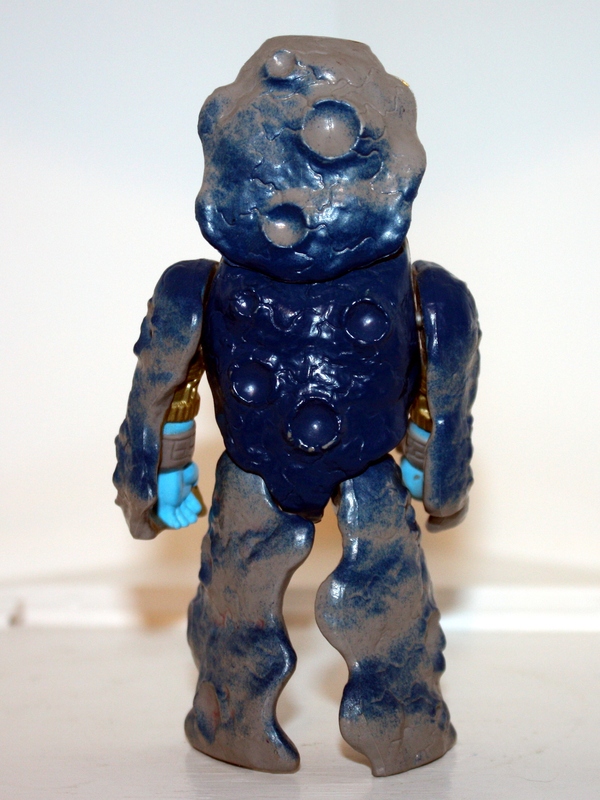 It’s turned out to be one of them Blue rock guys we fight” gets a bit old. 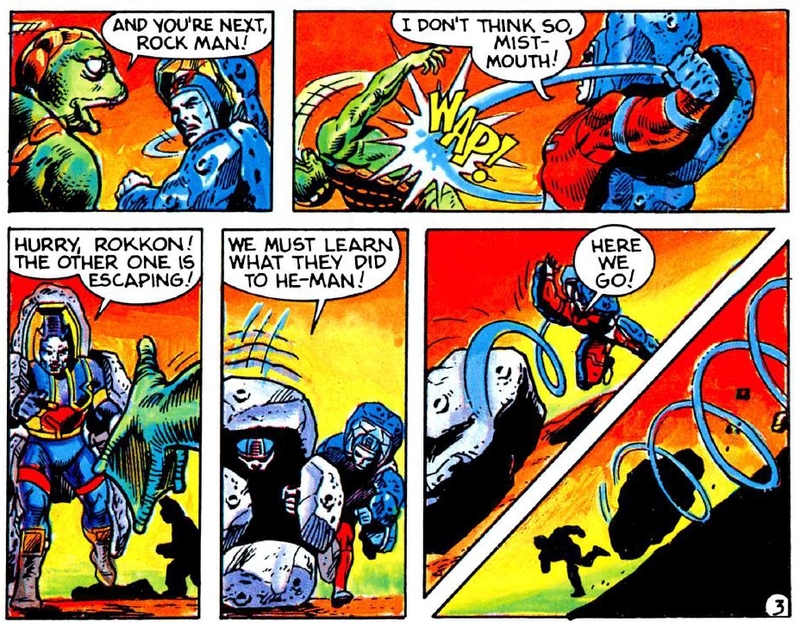 and the play pattern of ‘throwing themselves’ at the enemy in rock mode, or rolling down a hill would have worked if they became something a bit more rounded. 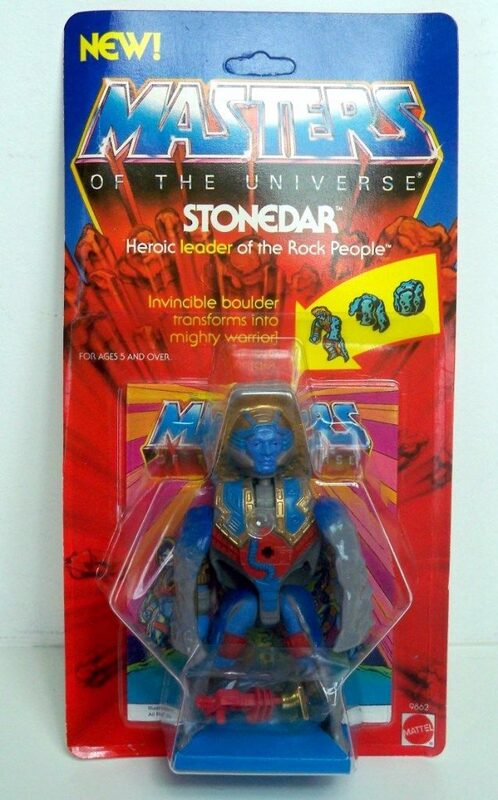 I have Stonedar. 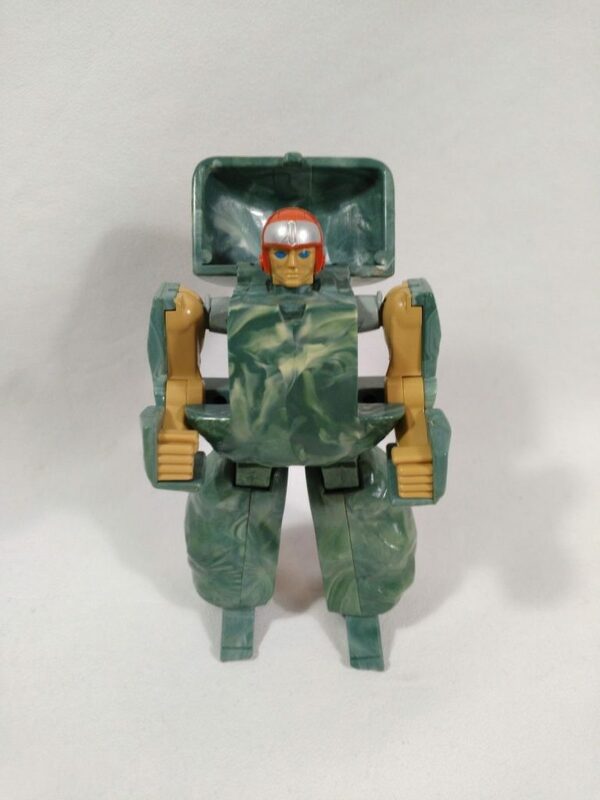 I’m pretty sure that i received him as present from someone but he was the proverbial present that you never desired and that you will never grow to like. 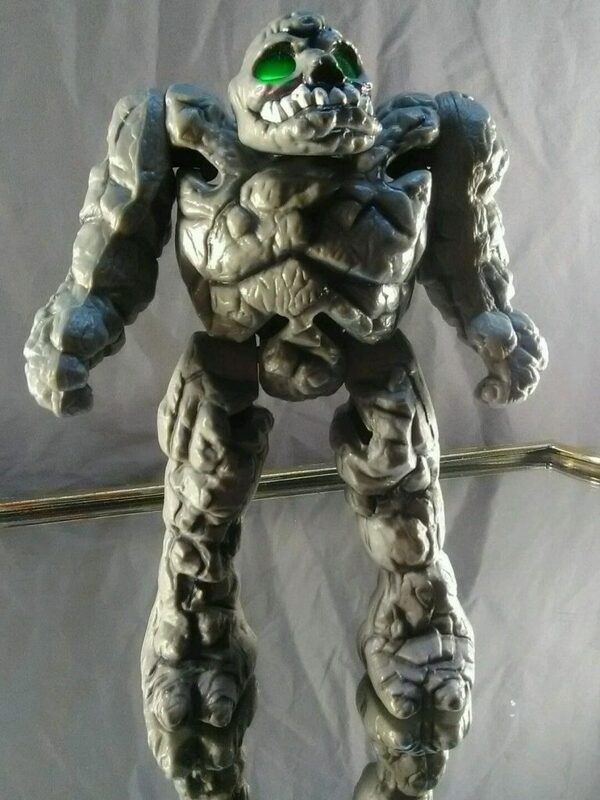 To be fair, Stonedar has a pretty good face sculpt, a cool radar/gun weapon and the crater filled rock shell is well sculpted too, but the figure is lacking in every other department imho.